As enterprises embark on their digital transformation journey, only an API-centric platform can truly help deliver the best results while enhancing the “Integration Experience” for both the citizen integrator and the developer community. API creation is one of the many tangible benefits obtained from the SnapLogic Enterprise Integration Cloud platform. With our May 2018 release, we started offering a seamless integration between SnapLogic and Apigee, a full lifecycle management platform. Together we create a best-of-breed solution, enabling full-lifecycle API management capabilities for our customers. 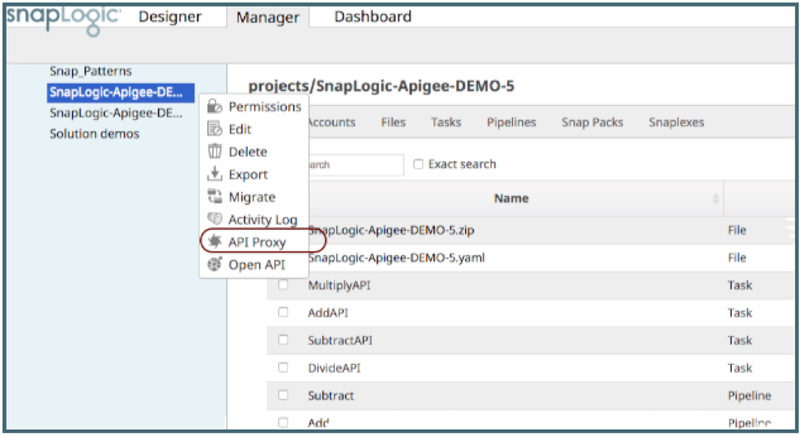 By leveraging this engineered integration, customers can easily create API proxies and API products in Apigee from the APIs created in SnapLogic. Selecting an authentication option for clients/users that would be invoking the API Proxy. Users requiring to make invocations from a browser must select the “Add CORS Headers” option. Users can select authentication options when creating an Apigee API Proxy. Once the user adds all the required inputs, they will be able to download the OpenAPI file that can be published in Apigee! In addition to the Apigee integration, users can download the OpenAPI specification file which can then be used across a variety of API Management platforms. Watch our SnapLogic and Apigee integration how to demo video to learn more. For a complete list of features and functionalities added to our most recent release, please see the May 2018 release notes. Sriram Kalyanaraman is a product manager at SnapLogic.